Planning this week's lesson (#6) was tough. Last week was a disaster. Having split up students by the missions they were aiming to accomplish, we divided the groups between Diane (to do some programming) and myself (for building). Those that didn't just walk away from my building table (I let them, not having the heart to tell them not to program) stuck around only to distract each other by building model cars, motorcycles, or other (neat, but off-task) things. On the bright side, I suppose, Diane said that programming made some progress. Still, not good for a full 10% of our time with these kids. So, we met with Danielle (our new TA) and decided that we were going to go back to the old, broken model of Programming Team, Building Team, and Project Team. So much for changing things up from the old Chocobots team. We put off making the actual divisions until my and Diane's weekly planning meeting on Sunday night. This post was written mostly after week 3 at OGPS. The weeks 4, 5, and 6 posts may or may not be forthcoming. Earlier this fall, I lotteried for USW35, "Dilemmas of Equity and Excellence in American K-12 Education". But, like 70% of those who tried to get a seat, I was rejected. So, instead, I'm taking a math course in Functional Analysis (Math 114). It satisfies my Analysis requirement for my joint CS/Math concentration. So there's that. I had a surreal moment today. At about 8pm, and OGPS janitor walked in to find me still in the classroom, and asked "Aren’t you too old to be playing with Legos?" No, I’m not too old. No one’s too old. I was, after all, completely relaxed for the first time in several days. Though I’ve not had a serious Lego project for years, I had managed to slip back into the flow of pieces fitting together the way they should, and the way I knew they were going to. At the end of yesterday's post, I rushed through a few of my retrospective opinions of the Colombia-Howard County Robotics Team (CHoCoBots) '06-'08. On re-reading, I don't think I did a good job of saying the things I meant to say, and implied many things that I didn't. So here's my attempt at a do-over. I'll keep original text (I've kept basically everything) in bold, and write my addenda and commentary in regular-weight. 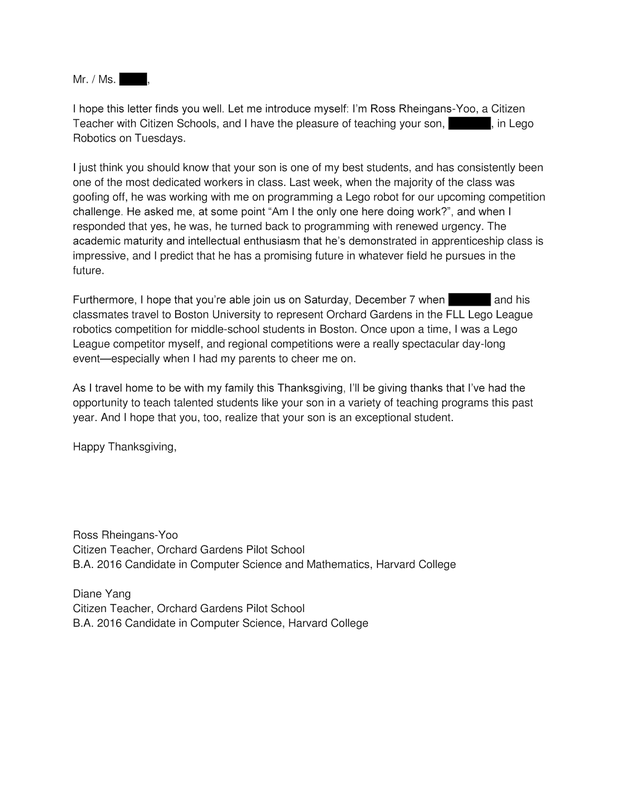 The other advantage we have over the Chocobots (Columbia-Howard County Robotics) circa 2006 is we've got a coach who understands the FLL competition very well. We, the coaches, can do intelligent things like leverage the mission-driven nature of the FLL game to organize our classroom activities sensibly, nudge our team members down paths that we (I) expect to pay off, based on past experiences ("How about tackling a shorter mission first, for easy points?"). In short, we intend give our kids the best experience we can by being prepared. lesson learned: "blog after the fact" goes pretty sporadically, and I never get around to saying most of the things I meant to. So I'm going to try to get the OGPS series of posts out the door by Wednesday afternoon by the latest. Let's see if I can hit a deadline of one topical post/week. My guess: probably not. Today, I was late getting out of OS class, so I missed the 2:53 1 bus to Roxbury. And so I had to bike for about half an hour (I passed two 1 busses on my way, though -- never change, Boston) to get to Orchard Gardens Pilot School (hereafter 'OGPS' or 'OG').